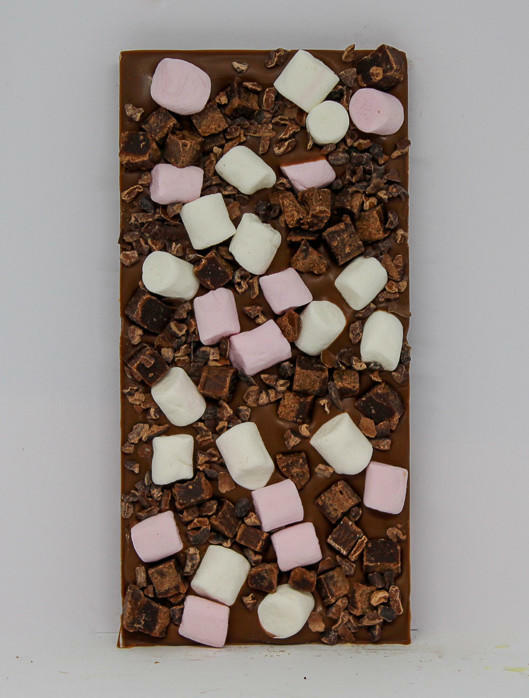 Unique to The Chocolate Cafe, we have combined all the classic toppings into our ?Pizza Bar? 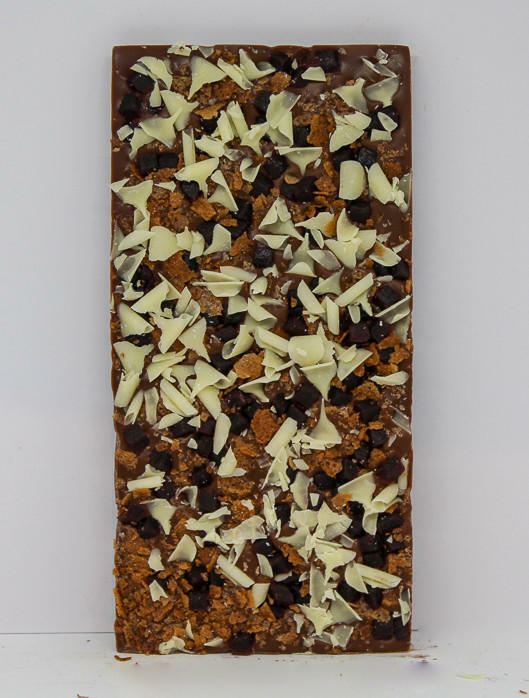 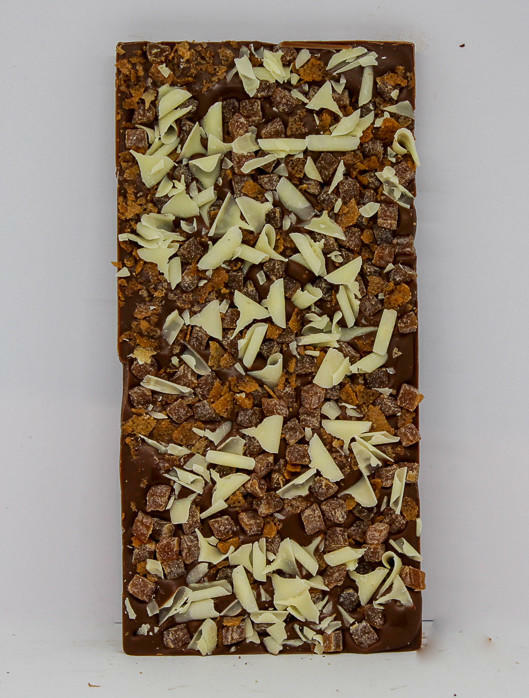 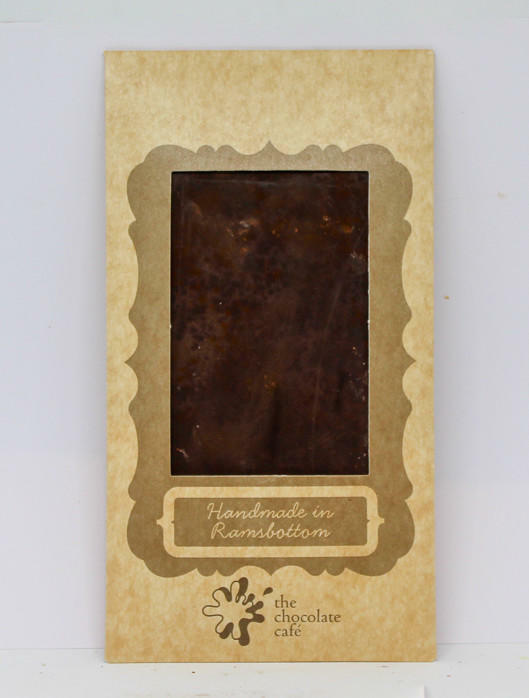 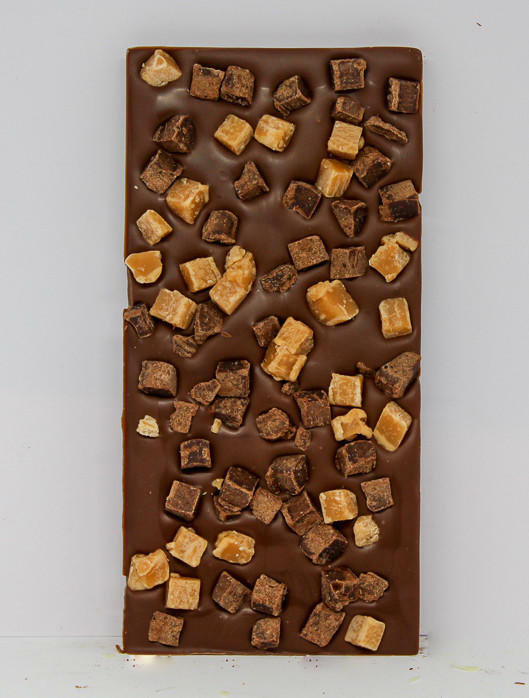 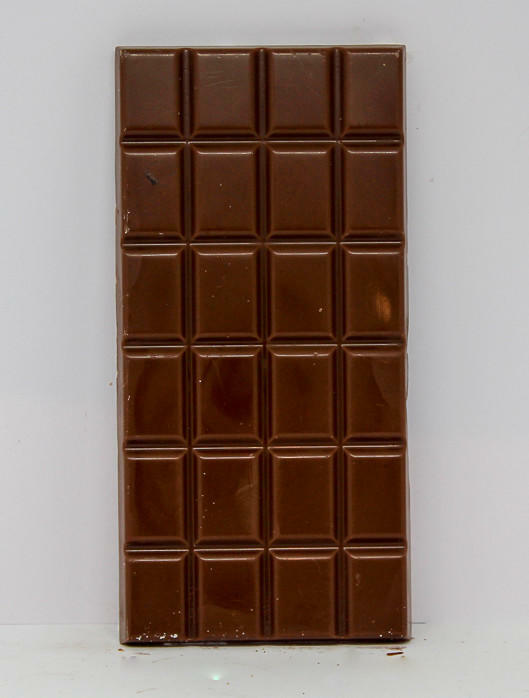 which includes fudge, toffee, milk and white chocolate buttons as well as white chocolate curls - it really is the chocolate bar for people that cannot decide what to try, or for anyone who loves pizza (and chocolate)! 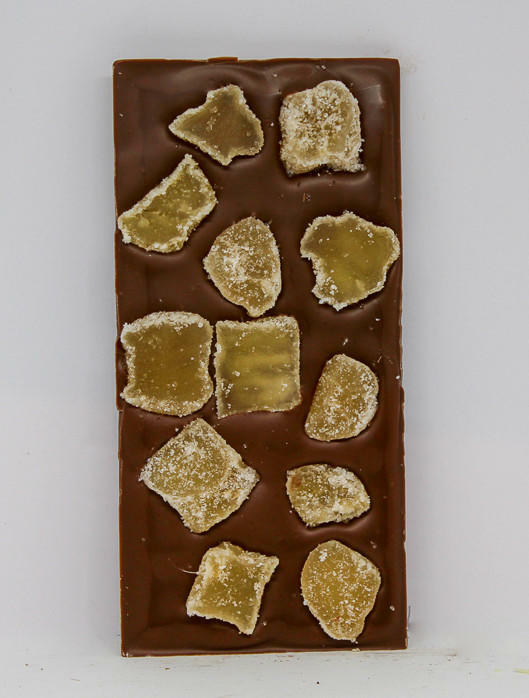 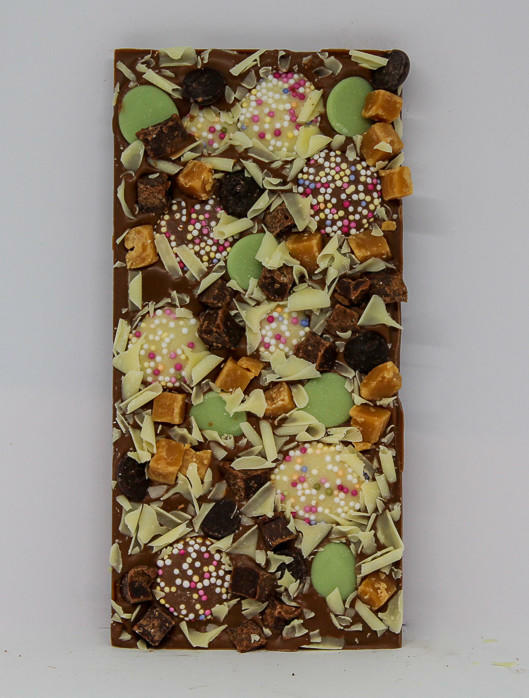 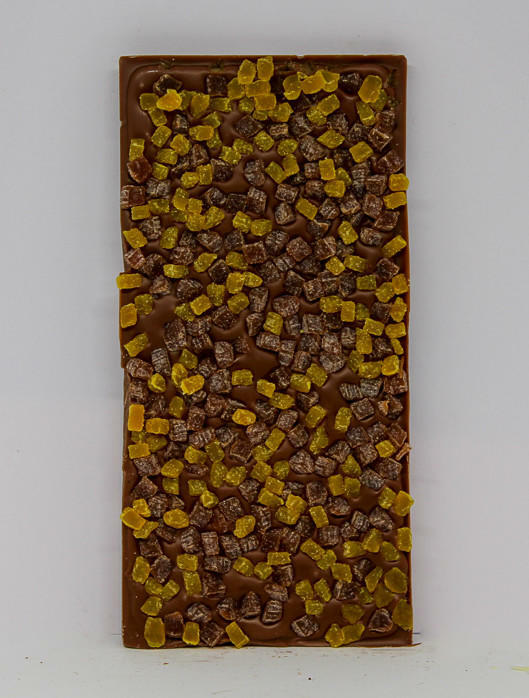 34% milk chocolate with milk and white chocolate jazzies, lemon flavour buttons, dark chocolate buttons, caramel fudge, fudge brownie pieces and white chocolate curls, handmade in our workshop in Ramsbottom.